An article in IEEE Spectrum suggests that engineers might be able to brainstorm the Next Big Thing by writing a science fiction story. He gives the following suggestions for engineers looking to unleash their inner Asimov. Shrewdly read short fiction (much quicker than novels): Stick to the “hard” stories about the future that engage the everyday issues of engineering. Imagine a revolutionary gadget that could plausibly be designed and built and inject it into the world as we know it today. Choose your medium. Given the advances in multimedia, producing short documentaries and animations is faster, easier, and cheaper than ever. Of course, there are real engineers or scientists who drew inspiration directly from the pages of science fiction without having to write anything. Yuri Gagarin, the first man in space, was inspired by Verne's tale of a voyage From the Earth to the Moon. Dr. Peter Diamandis, Founder and Chairman of the X PRIZE Foundation, was inspired by Robert Heinlein's books about private development of space flight and the moon. Nobel prize-winning economist Paul Krugman was fascinated by Isaac Asimov's ideas about Psychohistory. Captain Cal Lanning, US Navy, has stated that 'Doc' Smith's Directrix from Gray Lensman directly inspired the Navy's Combat Information Centers in warships. 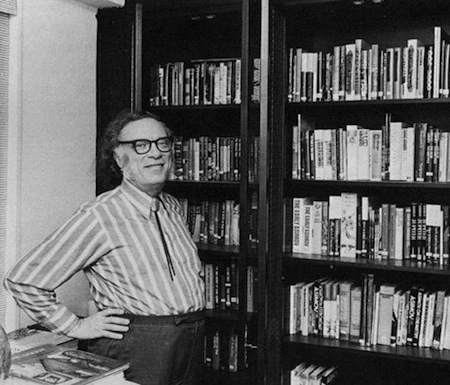 Read Unleash Your Inner Asimov.